How to contact this dynamic team. 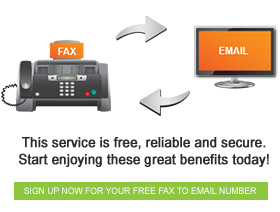 FaxFX is a fax to email service provider which offers a host of excellent services. With fax to email you are able to receive faxes with your email account for free, no matter where you are in the world, provided you have an internet connection. You can also send faxes on the go, so long as you have fax out credits and, again, an internet connection. FaxFX also allows you to access all of your past fax correspondence, located securely on the FaxFX server. With all these services there is a need for an excellent support department, which FaxFX is proud to possess. 3. In the necessary fields, enter your specific query. 5. You will be given a validation code, which you will need to enter in the necessary field. 6. Click ‘Submit Ticket’ and your query will be submitted. The FaxFX support team is highly trained, experienced, and knowledgeable, and will tend to your query quickly and to your satisfaction. So, if you ever need them, it’s good to know that they are just a few clicks away.